Kronoform Attackon! 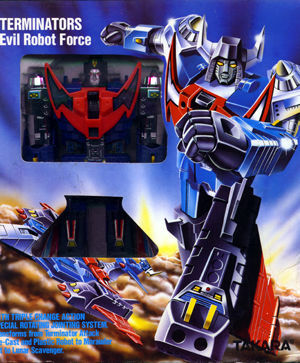 Attackon is one of the Terminators, the Evil Robot Force of the Kronoform universe. Attackon is an 8" high diecast and plastic robot that is very reminiscent of the Transformers line. For more pictures and information, check out the Kronoform pages.